In 1979, Dr. Manmohan Singh Luthra, a gold medalist of Medical College Patiala, bought land and successfully struggled with city authorities for permission to develop Nanak Drive in the State of Pennsylvania, USA. It was the first residential street named after Guru Nanak in the United States. He and his family felt blessed to live there and invite American home buyers to choose Nanak Drive for their home address. Manmohan Singh Luthra was born on September 8,1936 in the village of Mandi Bahauldin, Pakistan. He was the firstborn child of Sardar Gopal Singh Luthra and Sardarni Lakshmi Kaur Luthra. 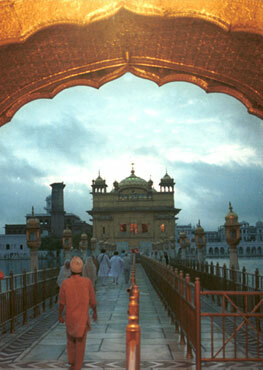 Manmohan was especially devoted to the causes of the Sikh community. He became the founding trustees of the Tri State Sikh Cultural Society towards building the Sikh Gurdwara of Pittsburgh. From 1977-1984, Manmohan helped towards the successful holding of the Sikh Youth Camps at Racoon Creek State Park. He and Sardar Sohan Singh Chaudhary procured the campsite and stood by the Camp organizers for particular needs, that included the medical resources. These were the first Sikh Youth Camps in North America. As a community physician, Dr. Luthra was honored by Citizen's General Hospital for 22 years of devoted service. At Citizen's General and Allegheny Valley Hospital he founded the department for Gastroenterology and Endoscopy and served as the hospital's representative to the Pennsylvania Medical Society. Manmohan worked with many elderly patients and would often make for house calls, a service rarely seen in America. In 1987 Dr. Luthra was honored by the State Senate of Pennsylvania USA for his service as a physician, administrator, and volunteer. Manmohan was a leader in the Rotary Club of New Kensington and Rotary International from 1974 until 2005. He served as the district chairman of Rotary's "Concern for the Aging" committee. As District Governor for Rotary International (1990-1991), he promoted the Paul Harris Fellowship scholarship programs by soliciting donations and becoming a major donor himself. Being a physician, he was devoted to Rotary International's polio eradication program and worked with Rotary clubs in India to promote polio vaccination. In 2005, in the aftermath of Katrina, he volunteered with other Rotarians and Habitat for Humanity to build houses in Biloxi, Mississippi. Manmohan understood what his Sikh faith required of its adherents i.e, public service of humanitarian causes. He served the United Way of Western Westmoreland County as its Chairman. He served on the board of the University of Pennsylvania, New Kensington campus, and as the director of the New Kensington YMCA.